Give the beloved meatloaf a welcomed Italian makeover with this recipe that uses both Italian sausage and ground beef. Just slightly spicy, this easy-to-make meatloaf is packed with Italian flavors like fennel, garlic, and Parmesan. Preheat oven to 350°. Line a baking sheet with foil; line the underside of a smaller baking sheet with foil, invert, and set inside the larger baking sheet. For the panade, whisk together milk, eggs, salt, Italian seasoning, and pepper flakes in a bowl. Add bread and mash with a fork to combine; stir in Parmesan. For the meatloaf, mince onions, fennel, parsley, and garlic in a food processor. Combine sausage, ground chuck, panade, and minced vegetables in a large bowl. Shape meatloaf mixture into a 10×6-inch loaf on inverted baking sheet and bake until a thermometer inserted into the center registers 165°, about 1¼ hours. Preheat broiler to high. For the topping, cook ketchup and balsamic reduction in a saucepan over medium-low heat until reduced to ½ cup, 10 minutes; season with salt and black pepper. Spread glaze over meatloaf and broil on center rack until bubbly, 3 minutes. 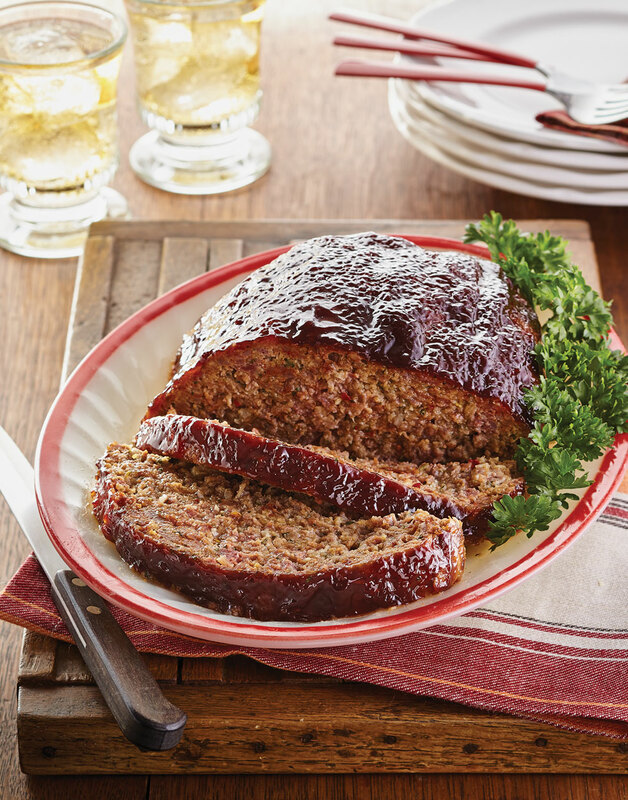 Let meatloaf rest 10 minutes before serving. So the grease falls away from the meatloaf, bake it on an inverted baking sheet, set inside a larger one.